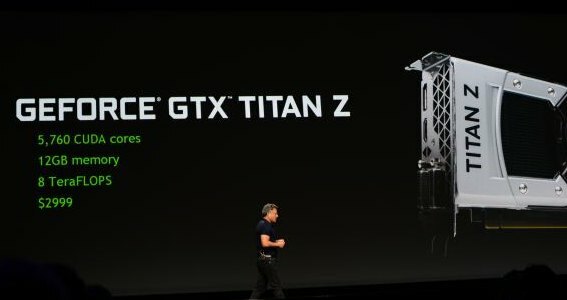 NVIDIA supreme boss JHH announced at the GPU Technology Conference 2014 a new GTX Titan as well as Maxwell successor. Pascal (from French mathematician Blaise Pascal) is Maxwell successor. 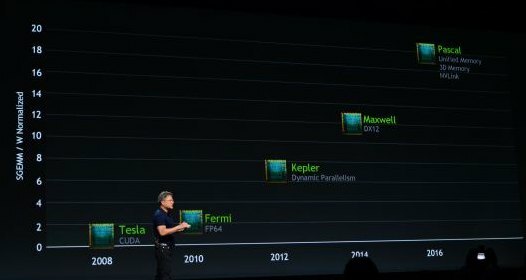 In this news, we learnt that Volta was the post-Maxwell architecture, but it seems that Pascal is the new official name. One of the main feature of the Pascal architecture is the 3D memory or stacked DRAM that should provide terabyte bandwidth. Turns out Volta remains on the roadmap, but it comes after Pascal and will evidently include more extensive changes to Nvidia’s core GPU architecture. “Turns out Volta remains on the roadmap, but it comes after Pascal and will evidently include more extensive changes to Nvidia’s core GPU architecture. JeGX, can you please correct your post? Volta still coming in the future. I am sure that the next generation architecture will be called Pasteur or Babbage. In our CUDA applications, we use a lot of memory accesses with little math on them. I hope that 3D memory helps with apps that have the same all-memory-no-math problem. can i use such a device efficiently for custom made softeare even without proper support in the drivers? isnt any 3dgeek or fp64geek going to drop a little review and a little example how to extract all the available horsepower from it on this website? hack the titz! Rapacity hidden under the name of Progress !